Are We Preparing Teens for Life in the Real World? When teens reach high school age and are thinking about college, they will be entering a different phase in their lives. They will be young adults. Do parents prepare their 17, 18 or 19 year old grown children for life in the “real world’? I researched family living kinds of courses in high schools and found some books that were used in family health and home economics class that were dated back to 1973. Life has changed quite a bit since then. As a “couple”, we would discuss our job choices; salaries and savings; getting engaged; getting married and all the details leading up to these events. Included were costs of weddings, receptions, honeymoons. Banking, writing checks, and keeping budgets were serious factors. After the marriage, we would discuss expectations of each other; where we would live, rental options, house-buying and getting a mortgage; setting up an expense budget; relationships with in-laws; and day-to-day expenses as well as large purchases, such as a car. These subjects were an eye-opener and allowed a closer in-depth look at our ‘mates’ and their priorities. The giggling and teasing became more serious in discussions and some “couples” started arguing. Eventually, the “couple” would then experience being a parent. Real-sized plastic baby-dolls were dispersed – one to a couple – and again the cuteness, teasing, and giggling over whose baby was the cutest. This quickly dissipated when the teacher instructed that one or the other parent had the responsibility for this baby and one of them would always be with it to take care of it. Instructions on how to care, feed and change the baby quickly changed the fun of the baby to the reality of the baby. Each parent took turns getting up for the 2:00 am feeding. The infant was in their care for one week – whoever had the baby had to take it with them wherever they went. This was met with groans and wails that there was cheerleading practice or football games, parties or other social events that they would have to include the baby. I don’t remember all my college and high school courses but I do remember this one vividly. We were taught responsibility for our own actions, how to control our cash flow and make budgets; the expenses of maintaining a house and how our pay checks had to cover all of the above. Some of the couples who were so flirty at the beginning of the course could barely tolerate each other at its end. Others realized they were way too young to be “saddled with a baby” and this was a one-week experience! Others realized that marriage was not Cinderella-inspired, but a serious relationship with compromises, partnerships and sharing. 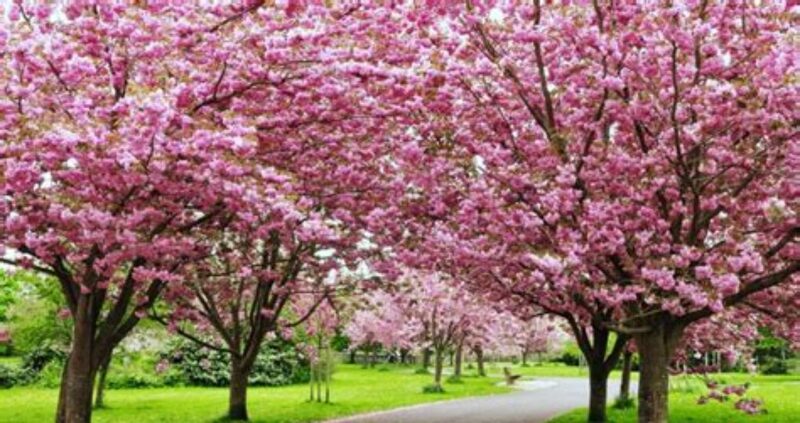 For most of us, it was an awareness that life was not all fun and games but a challenge with goal-oriented choices. An added high school Family Living course could benefit many teens today in the reality of marriage, family and adult responsibilities. Adult life is more than texting, video games and posting selfies. And much more rewarding. There are many team building exercises – and they are all very productive and well received by employees because they are fun. These sessions highlight personality styles and through their awareness and acknowledgment of them, encourage and show how employees interact with one another. Most importantly, the exercises, which range from being stranded in a jungle with a broken helicopter to supplying goods in crucial time to a valued customer in bad weather, increase harmony and productivity within a group effort or within an office department. They bring to light how co-workers work independently and as a team in an office. An employee’s personality style usually projects how he or she will react to a problem or handle difficult situations according to how they, as an individual, react to it. In the helicopter scenario, props and supplies are provided and the team is set forth to fix the helicopter with the props and decide who is going to do what. They have a time limit and dire consequences if they don’t get out of the jungle on time. Inherent work personalities emerge in performing the tasks, and are later discussed by the team. It is a soft and effective way for same level professionals to point out what they and others could have done to save their lives! And by doing so, point out styles in their co-workers habits that inhibit team players. The manager or supervisor is not present for these exercises; but is brought in a later date for interface in other exercises — and sometimes it is the manager who is the problem employee! The HR person does not get involved in the training except to answer questions of what can or cannot be done. Even when the simplest solution is the best way and the team makes it very complicated, the HR rep lets the group solve the problem by themselves. Many work relationships have conflicts when personality styles are involved. In fact, it is the largest work problem. Drivers take charge right away. They will have a solution and be focused on how to fix it without anyone helping them or seeking additional solutions. Amiables might try to make everyone happy and neutralize emerging solutions to a problem. Analyticals may quietly try to figure out what went wrong and how to fix it without sharing their analysis. They usually won’t project their solution until they are certain it will fix the problem. And Expressives may wring their hands and point out worst case scenarios along with projected reasons why they can’t fix the problem or conversely express excited solutions without thinking the problem through. All these personality types make up whom we work with. Recognizing their characteristics and working with them to work as a team, and not focus on a personality style, will make a team or office workplace more cohesive and structured. Production increases when everyone feels they are working and pulling as a team. Team building helps bring out latent personality styles in employees. Working on a make-believe project can propel co-workers to verbalize how these traits help in their virtual work environment. When team members become aware of their personality style in their everyday working situations, it can aid them in harnessing the parts of their personalities that can be a hindrance to their co-workers as well as becoming aware of how a different approach to solving problems can increase productivity, decrease personality conflicts and help them grow as a more valuable contributor of the ‘team’. At these team building seminars, the employees learn how to deal with the different personality styles. They also learn to understand their own style and how they all relate to each in a group setting. 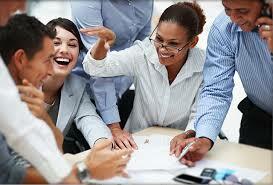 Team building exercises can be arranged through your human resource or training departments. Has Anyone Ever Died From Public Speaking? I don’t think anyone died, but, oh, the pain of presenting! 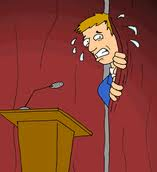 It is said that people fear public speaking or giving oral presentations more than they do dying. They avoid these sometimes-forced-upon-you school or work assignments and come up with all kinds of excuses. Work encounters are usually one-on-one discussions or sometimes explaining procedures or information at a seminar, but most people are taken out of their comfort level when they have to stand up in a room full of people and give an oral presentation. These situations usually produce sweaty hands, heart pounding, dry mouth, and shaky knees syndrome. And these are the minor reactions! Sometimes you wonder if you could have a heart attack during one. The heart and pulse are way up there, sometimes accompanied by a flushed face. And by far, the anticipation of giving one is much worse than actually getting up there. Plus, a sleepless night worrying about ‘presenting tomorrow’ causes fogginess and disorientation, giving added fears of not speaking coherently. Our boss gave all of us presentation-skill seminars to complete for our objectives one year. No one was happy about it. We decided the best thing was to get it over with as quickly as possible; we all were signed up within a week. The presentation class itself would last for one week – every afternoon for 4 hours. At the first meeting, no one was smiling when the facilitator came in. He was an engaging young man and he was the only one smiling in the class. My fellow sufferers and I were deadpan and immobilized. We were zombies preparing for death; and we were prisoners. This class was mandatory on all our objectives, and we didn’t know each other well. Or really cared. We were all very self-absorbed. The facilitator asked each of us to come up and introduce ourselves and he would video tape us. Yikes! Now? We all had to do it, of course, and it is a blur but I have it on tape – to look at when I need to get humbled. For the next five days, we learned that it was natural to feel nervous. And he gave us pointers on how to relax and calm down. When he finally got us to sit without fidgeting, he explained he was going to help us prepare to give a 5-minute speech. Five minutes!?! He’s crazy – no way. I think I will call in sick that day. Eat a good breakfast so your stomach doesn’t distress and make noise while you are talking. Force yourself; the breakfast will wake you up and give you strength. Dress sharply for self confidence and take a deep breath when it is your turn to speak. Introduce yourself and say something to lighten up the mood; maybe an amusing story or a quick joke. It breaks the ice. Stand comfortably, and allow your hands to express along with what you are saying. Don’t stand there (like I did) with your hands folded in front of you. Give natural expression to your body – otherwise you will stand stiff and hold your ear the whole time like the PhD chemist did in his introductory tape. BE PREPARED AND KNOW YOUR SUBJECT WELL. PROJECT YOUR VOICE. Actually you should feel like you are softly shouting. Most people cannot be heard; they speak too softly. Don’t read from notes or a paper – you can use a small file card with reminders in case your brain freezes up but use it only as a reference. You may utilize graphs or visuals – they take the spotlight off you and gives your listeners something else to dwell on besides you. But don’t make your entire presentation explaining slides. Focusing on all these directives actually takes nervousness away – two matters cannot occupy the same space. To this day, I focus on how to present as much as what I am presenting – it works – and neutralizes the self-consciousness. I practiced before presenting. I engaged members of the family and friends – even the family dog and cat. Practice helped me to get comfortable with speaking in front of someone else. On Dread Day, the facilitator taped each of our 5-minute speeches and the tape verified that we could get up and pull this off. I was euphoric – wow – I can really do this. I would never be catatonic-nervous again. I had built up fear around doing this all my life, and I faced the fear and the fear was gone. It’s true that ‘we have nothing to fear, but fear itself’. I counseled many employees after this and signed them up for the presentation class. I went through it with them with great compassion and empathy. I was rewarded at the end of each of their classes, when they would come up to me, with a big grin and dazzling eyes, repeating, “I did it! I did it…..And I won’t ever be afraid again”. Uncle Sam has spent the past decade and a half frightening you out of your basic rights. He listens in on your phone calls… he practically takes naked pictures of you at the airport… and he’ll tell you he’s doing it for ONE reason. We are fighting the most frightening undeclared war in American history. There are terrorist cells in every corner of the world — even sleeper cells right here in America — just waiting for an opportunity to create the next 9/11. But there’s a new terror hitting American soil, and it’s our own politicians unleashing the carnage. Countless American lives may be at stake right now, thanks to the single greatest risk to your safety — and your life. Ebola, one of the most gruesome deaths on the planet, is burning like a brushfire through Africa — and it’s now reached America. The same global health officials who claimed the disease was “contained” now admit it may infect 1.4 million people worldwide… and counting. Just days ago, our president stood before the United Nations and declared Ebola an urgent national security threat. So why the heck isn’t he halting flights from infected regions of Africa to the United States? The truth is, he’s jeopardizing your life so he doesn’t have to hurt some Third World politician’s feelings. And the damage has already been done. 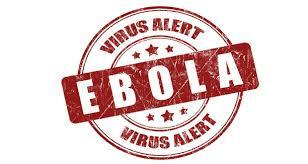 Right now we have a confirmed Ebola case in Dallas, and it appears the patient recently arrived from Africa. We don’t know if this patient has infected others — but there’s no doubt a travel ban could have prevented the whole ordeal. But you don’t need some accidental tourist to bring Ebola into America. Any terrorist with $2,000 to spend could do the job. Did you know you can book a flight from Freetown, Sierra Leone to JFK for just $1,800? Right now. You could be spreading Ebola across America in less than a day’s travel time. And if you think this is a bridge too far for the ISIS and al Qaeda terrorists of the world… if you don’t think they’d attempt this kind of suicide mission… remind yourself that these are the same crazies who strap bombs to their chests. Except an Ebola outbreak would be much more terrifying. While Obama is acting like the top rooster on the world stage, you and I are sitting ducks. Your safety… right now… is in the hands of Third World airport security and America’s porous borders.